If you’re searching for a vegan-friendly shirt or blouse, then you should be glad to learn that there are more than a few options on the market. You get to choose from a wide range of products made by reputable brands which come with impressive designs as well as soft and cozy materials that aren’t made of animal products. You get to wear an attractive shirt or flannel that’s made of durable fabrics such as cotton, polyester, synthetic silk, or other non-animal materials to suit your taste, lifestyle, and budget. In case you wish for an attractive T-shirt that isn’t made of animal products, then the Short Sleeve Pique Polo from John Bartlett is just what you need. It comes with an attractive design that is both classic and modern. This product is made of plant and synthetic materials such as cotton and polyester. Thanks to the use of polyester, you get a wicking material that will pull water from perspiration away from your body and out into the atmosphere so you can cool down faster in hot weather. 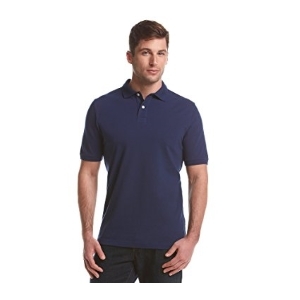 This product offers a slim fit and a two-button placket for a stylish look. The Melissa McCarthy Seven7 Sleeveless blouse is the perfect choice for both vegans and non-vegans, with a fine flutter sleeve detail which further enhances its elegance. This plus-size blouse is made of rayon, which is a semi-synthetic material made of naturally occurring polymers obtained from wood pulp. This product comes with a beautiful embroidered pattern and a split neck design that will surely make you feel more attractive. The blouse also features ruching detail at the back so you get to look amazing from any angle. You can easily wash this item in the washing machine without worrying about damage. The John Bartlett Flannel is a stylish piece of clothing that comes with a modern design and a comfortable fit. Made of cotton fibers, this product is soft to the touch and it’s a great choice for vegans and other people looking to avoid clothes made of animal products. This flannel has a button-down design and a buttoned collar that gives it a classic look while also making it comfortable to put on or take off. This long sleeve flannel will keep you warm during the cold season. You also get a chest pocket to carry your wallet or smartphone with ease. 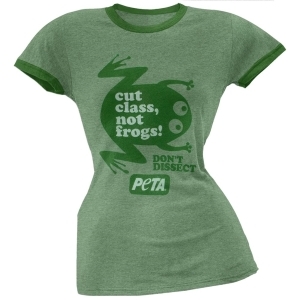 In case you want a simple and modern T-shirt that is made of non-animal materials, then the PETA Cut Class is a smart choice. This affordable shirt comes with a slick design and a lively green color, as well as an anti-animal-cruelty message which warns against dissecting frogs. You get a shirt that’s made of 100 percent cotton which is soft and comfortable to wear. The strong seams make this product durable so you can wear it for many years. You can also proudly show your support for the ethical treatment of all animals, expressed through a beautiful graphic artwork. This Zara Women Blouse is chic and elegant and a fine choice for anyone looking for a piece of clothing that’s made of materials derived from plants. Made of 100 percent viscose which is processed from plant cellulose, this blouse offers women the peace of mind knowing that no animals were harmed in the manufacturing process. This product comes with a gathered-sleeves design that will fit perfectly on anyone. 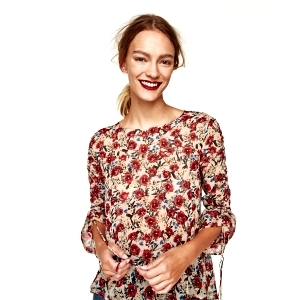 The red and blue flower artwork further improves the looks of this modern blouse while also making it easy to match with other skirts, dresses, or even simple jeans. The Melissa McCarthy Seven7 Women’s is a marvelous shirt that comes in the plus size and which features a stylish design. This short sleeve skimmer variant offers a relaxed fit that’s ideal for the warm season. The Lapis color makes this quite attractive for any kind of occasion. 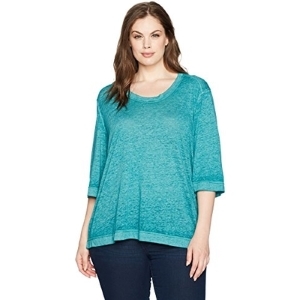 The scoop neckline gives this model a chic look while the short sleeves make for a comfortable wear even in hot weather. The shirt is made of cotton and polyester so you can rest assured that its production did not result in harm to any animals. This product measures 26 inches in length. 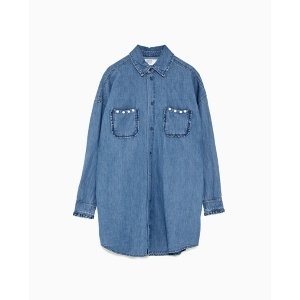 The Zara Women Denim Overshirt is a model that features a simple yet stylish design that makes it a practical choice for women looking to balance elegance with versatility. The denim fabric is strong and durable so you can trust this product to last for many years. This model comes with a lapel collar and long sleeves that will keep you warm in cold weather. You also get front patch pockets to keep things such as your wallet or iPhone safe and close at hand. This model also features a mini ruffled trim as well as faux pearls. Just because they’ve decided to only use products that don’t employ animal parts doesn’t mean vegans should be forced go around like the Russian president. Modern technology more than allows for a great variety of clothing to be made only from synthetic fiber or plant material. Finding certain items, such as shoes or suits might prove sometimes tough, requiring hours of research from the shopper and fully justifying the notion of “lifestyle” being associated to veganism. Luckily, this isn’t the case for shirts, since all varieties from formal wear to the T are often manufactured from cotton or synthetic fiber. That’s why they make such good vegan gifts for a nature-minding friend in need of clothing — there’s little chance that the giver will happen to pick a T-shirt made from the skin of tortured lambs. Things are really not this simple, of course, because animals can be hurt at any stage throughout the process of production and to know that this wasn’t the case you need reassurance from the manufacturer. The companies that do give this reassurance can be researched online and offer as wide a selection of shirts for sale as any other. With that out of the way, what else is there to consider when buying a vegan shirt? As we’ve mentioned above, the material can barely be considered a limiting factor, since most shirts of any kind are made from 100% cotton or synthetic fabrics anyway. Thorough shoppers might want to check that the dyes are either plant or mineral made, however, since it’s a well-known fact that the bodies of certain insects are used to make some bright colors. Cotton is probably the most widely used shirt material thanks to its low price and good overall properties. It’s easy to wash, doesn’t retain smells, doesn’t stretch, it breathes fairly well and has an eye pleasing grainy texture to it. Synthetic materials are generally a lot shinier, which can be preferable for some. Lycra and its chemical proxies make for the widest used fibers. These tend to have a better tensile resistance than cotton and don’t tear as easily. However, they can easily melt from cigarette embers (which isn’t really an issue in this case) making for some very unsightly holes. Synthetics also retain smells easier than cotton and don’t breathe equally well but are slightly more wash-resistant since their colors don’t run to the same extent as with cotton. The style is ultimately a matter of personal preference so we won’t dwell on it for too long. An important thing to note is to always take into consideration the personal style of the friend or offspring you are shopping for. A grunger or a metalhead, for example, won’t really appreciate a T-shirt with a V shaped neckline or made from synthetic materials with a shiny texture. Washing resistance won’t really be an issue for them since they should only seldom clean their clothes. As a side-note, washing can be said to have a discernible environmental impact, since it consumes fresh water, so it is advisable to orient yourself toward materials that don’t retain smells easily hence won’t require as many trips to the washing machine. When buying vegan clothing the aim is not only to cover your body in a certain way, but also to make a statement. 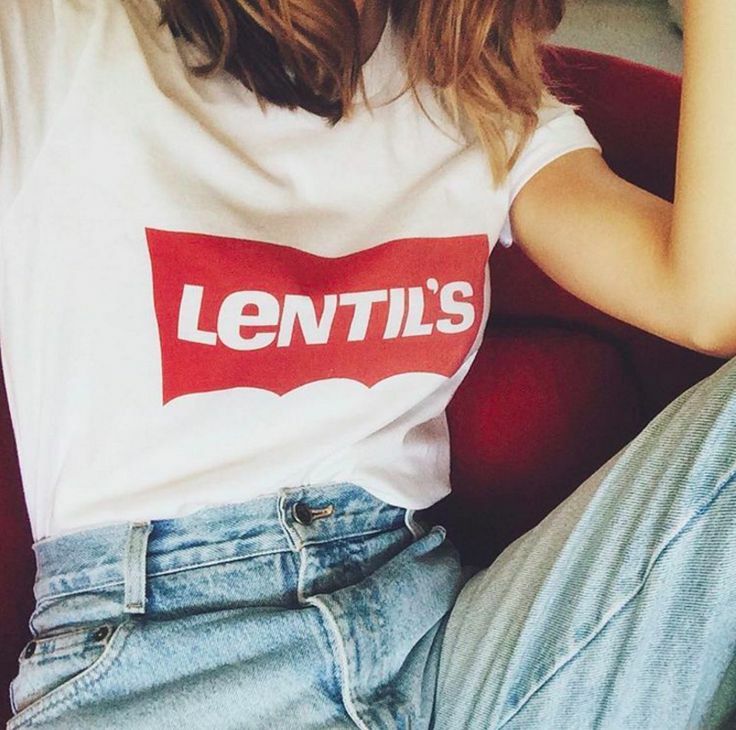 Vegans are very concerned with the positions their favorite brands take on certain issues, since buying a product could be seen as an act of sponsorship or approval. While all vegan brands ensure that no animal has been harmed in the process of manufacturing their goods, not all of them take the same actions towards making the world a better place. For example, one company might donate 10% of its profits to help the orphans in Patagonia, while another could take the concept of cruelty-free to new depths. After all, truly cruelty-free shirts should have no sensing being seriously inconvenienced as a result of their manufacturing and this includes the human workers. The best vegan clothing reviews often care to mention that forced or underage labor wasn’t employed in the making of the products under scrutiny. To ensure that your money goes to the right place it is often necessary to do some research of the manufacturing company beforehand, find out about other things they are involved with and ensure that their values match your own. 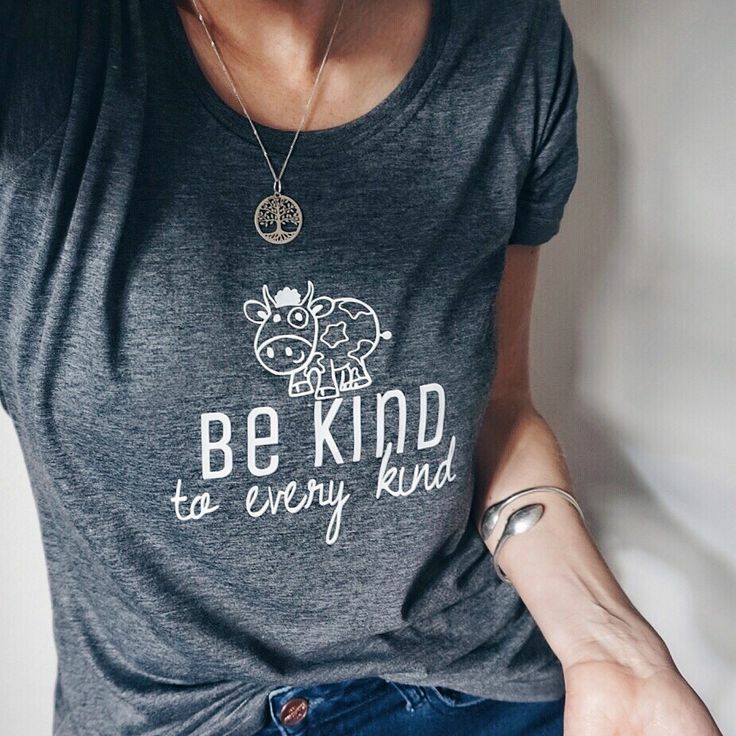 The very act of buying vegan clothing sends a message, but this might be hard for others to receive at first sight without any outward indication of the wholesome origin of your attire. This is the reason why most cruelty-free shirts have a literal message, one inscribed in text and/or images, on the front. These can range from outright calls to stop animal cruelty of any kind to witty one liners that need a few seconds to be understood. Common slogans include “Friends not food”; “Animal lover”; “Animals are not fabric”, “Eat Veggies Not Animals” and the reassuring “no animals were harmed in the making of”. These are all well and good and drive their point across but if you or your vegan friend want to go for subtlety you might try something along the lines of “all my other shirts were covered in dog hair”. Of course, the above is not possible when dress shirts are concerned. What is there to say about dress shirts other than that vegan brands also make them? The first thing that comes to mind is that they make good gifts, if somewhat drab and uninspiring. We all need a dress shirt at one point in our lives and they also tend to show signs of wear pretty easily, so there is a constant demand for them. Buying a dress shirt is like buying cigarettes for a smoker, even if he is all set at the moment, he is sure to need more in the future. Our friend’s necklines (the measure used for assigning sizes to formal shirts) are easy to discern, even from photographs, so we should have little problem in finding the right fit.